What Creative Freedoms Are Important To You? History is full of inspiring stories about heroes who made incredible sacrifices for a thing called freedom. William Wallace, portrayed by Mel Gibson in the award winning film Braveheart, is a stirring example of someone who risked it all to be free to live their life how they wanted. Ironically, these heroes’ quest for independence usually landed them in prison… or worse, death. Fortunately, most of us no longer have to struggle for the basic freedoms to live our lives. We can pretty much all agree that it’s a universal right to do things like travel, feed ourselves, engage in commercial activities to increase our quality of life, and have children. But once these basic things are in place, it gets a bit fuzzy. Because freedom is relative – we often have different opinions on what freedoms are important to us. For artists, Creative Freedom is usually a big priority. It means the ability to create the art we wish to create, in the manner we want. There are a lot of us creatives, though, who don’t have that freedom in the measure that we desire. Because it’s a highly personal and even emotional task, art requires a certain amount of freedom. We need room to experiment, to work, and to evaluate our creative product. The goal of this article is to talk about how you can fight and win back that creative freedom… or at least enough of it to feel satisfied in your artistic pursuits. But first, let’s talk a bit about what Creative Freedom is… and what it means to have it. Back in the old days there was a concept known as indentured servitude. This was basically committing yourself (or someone else committing you) into a period of service to pay for something you didn’t have the money to pay. In the worst cases, indentured servants were treated practically like slaves. A form of this kind of servitude is alive and well today. It’s creative indentured servitude – handing over your creative freedoms in exchange for a comfy salary, benefits, and a 401k plan. If you go to work every day for a creative studio or company, you may have handed over your creative freedom (and time freedom as well). At first, we may enjoy the security that this kind of job provides. We may get used to it enough to start a family and make financial commitments like a mortgage on a house. But then something slowly happens… our value system changes. We all have a list of values. And, being the flaky humans we are, those values shift over time. For example, maybe when we first got that cushy corporate job, our value system may have placed financial security at the top of the heap. That cubicle felt comfy and safe. But over time, something happened, didn’t it? People stop listening to our ideas. Middle management makes dumb decisions. Competitive coworkers try to outdo us, or even throw us under the bus. Just as we get into our creative flow, someone comes up behind us and interrupts us with comments or changes. We really need to run an errand for our family but our lunch break is over and we have a deadline in an hour. The job that once felt secure now feels more and more like a prison. Over time, our value system begins to shift. The values of predictability and security begin to take a back seat to the value of creative freedom as well as time freedom. This presents an inner conflict that begs to be resolved. If you’re an artist like me who works in a studio with others, you’re probably used to the conflict of presenting, defending, and executing your creative ideas. We each may fight our own little wars for creative freedom every day. While our wars may not be fought on the open battlefield, they’re more like wars of attrition – where the one with the most resources, skills, and audacity wins. If we’re not successful in a creative conflict, we lose a bit of ground. If we have a passive attitude and we just let other people’s opinions win without defending our own, we lose a lot of ground very quickly. Over a period of time, we gradually find our creative freedoms sliding away. Then one day we wake up and realize that we really don’t have much creative latitude in our lives at all. That we have no choice in the projects we do. That the creative projects we do work on tend to be dictated to us – and we have little choice to do things we think they should be done. We may have spent years honing our craft and becoming better artists each day, but our freedoms (And let’s face it, our pay grade) don’t necessarily reflect that. Most of you reading this article were born with a certain degree of freedom. When it came time to choose your career path, you probably had a choice between avenues that afforded more freedom with a bit less security, and others that offered security but with a bit less freedom. For example, the life of a freelancer is unconstrained schedule wise. You can accept jobs or refuse them, sleep in on days that you don’t have jobs, and even work in your pajamas if you wanted to. But with that perceived freedom comes a bit of instability, doesn’t it? It’s Time To Wake Up And Smell The Woad Cookin’. 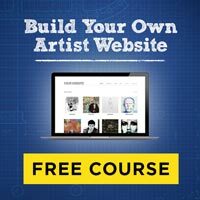 If you’re one of those people who woke up one day to realize that you’ve whittled away all of your creative freedoms, then this article is for you. If you’re like Neo waking up from the Matrix to discover a different and more unpleasant reality than what you thought you were living, read on. Because I’m going to tell you the weapons you will need to win back not just your creative freedom, But your time and career freedom as well. These “creative weapons” will help you get more respect in your creative opinions at your job. They will help you accomplish your personal creative goals. They will even help you break free of working for someone else and earn enough money working for yourself, if that’s what you wish. Creative Weapon #1: A Realization That You Are The Monarch Of Your Creative Kingdom. Put another way, you’re the owner and CEO of You, Inc. Nobody cares (or will ever care) about your creative business more than you do. And yes, even if you work full-time for another company, you’re really just a mercenary for hire. Your true allegiance is to your lifelong creative goals and ideals. (You’re just offering your talents temporarily to another organization out of mutual benefit). This means that even though you might work full-time for someone else, you place your personal creative business in a higher priority in your mind. It’s a mindset thing. While the time you spend may not reflect that, the next “weapons” can help. Creative Weapon #2: A Well-Drawn Map Of Your Journey And Your Destination. Maybe you’re where I was a few years ago, when my whole “midlife crisis thing” started. I looked around and realized I was in the middle of a place I didn’t necessarily want to be in anymore. I wanted a greater degree of control in my schedule. I also wanted more ability to work on the creative projects I desired to do. That’s a powerful question, isn’t it? It forces you to stop and look around. And let’s face it … Many of us don’t do that because we’re afraid we’re not going to like the answer. Answer those questions, and you have a solid plan. But you’re going to need a few more weapons in your arsenal. Creative Weapon #3: Your Declaration Of Creative Independence. Write out all the reasons you want (scratch that; need) your creative freedom back. Write what it will look like when you’ve achieved your goals. Write how you will get there. End it with a promise to yourself that you will follow through with your commitment. This document will become your “Declaration of Creative Independence”. Creative Weapon #4: A Commitment To Pay The Cost Of Your Freedom. A committed warrior is dangerous to the enemy. They have ideals that prevent them from giving up. So the next weapon you will need is a rock-solid commitment to yourself and your loved ones. A resolve that you won’t give up until you achieve your goal. This will come in very handy when the going gets tough and you want to call it quits. Just pull out your Declaration of Creative Independence and it will help you persevere. Visualize what your freedom will be like. In order to make this commitment, you’ll have to be okay with paying the cost. Remember Andy, the wrongfully incarcerated main character played by Tim Robbins in The Shawshank Redemption? He had to go through a lot of stuff to gain his freedom, including crawling through a mile of raw sewage. But if he hadn’t, we wouldn’t get to see one of the most gratifying scenes in any movie – that shot of him kneeling in the rain with arms outstretched, yelling joyously at the sky, free at last. Creative Weapon #5: Rock-Solid Confidence. People are hard-wired to follow a confident person. Not cocky, ego-centric, or self-centered, but confident. There’s a difference and people know it. It’s the voice of experience. We know that pilot has landed that plane hundreds of times, and we haven’t. You can have the same confidence when you communicate your creative ideas. Nobody else has lived inside your creative brain – but you have. Nobody’s more qualified to speak about your creative ideas than you are… so step up to the plate with confidence. If you do, then people will naturally assume you know what you’re doing. It goes without saying … do your homework. Build your skills. Put in the time and effort and you’ll feel more confident in your creative abilities. Creative Weapon #6: Create And Refine Your Perfect Pitch. Your art doesn’t sell itself for you. It can’t speak for itself. Being able to pitch your ideas to other people is an essential ingredient to success (and the freedom you desire.) This, along with your general ability to communicate effectively, is very important to transferring your creative ideas to other people. It’s time to get over the fact that you didn’t learn that particular skill in art school… and make a priority to learn it now. You may not be able to captivate a meeting room like Don Draper, but you can certainly learn how to craft a persuasive message that people will be compelled to listen to. Pitching is an art unto itself. It takes practice. It combines clear, effective communication with confidence. It comes into play in many situations, not just meetings. Some art forms, like moviemaking and others that require a considerable capital investment, absolutely require it. If you’re quaking in fear at the mere thought of talking to people about your art, then start small. Dictate into a voice recorder or smartphone and listen to it back. Modify and repeat. Talk to yourself in a mirror. Build up to sharing voice or video posts online. Building up slowly in this manner helps you build confidence slowly, one day at a time. Creative Weapon #7: Deadly Effective Time Management Skills. Managing your time effectively can make the difference between success and failure. Particularly if you struggle with how you use your free time. If you use your free time to “veg out” to reality shows and mindless Facebook feeds, then your creative output (not to mention your creative inspiration) will suffer. You’ll also feel the burn of that guilt we’ve all felt when we’ve wasted an hour looking at animated cat gifs. The solution? Build a time machine. A time machine is a planned system for capturing those little moments when they come up, and for using those big moments more effectively. It’s the key to getting things done, even when you have a full time job and demanding family obligations. The key word is planned; you have to have a process for capturing those moments of spare time that inevitably come up, or they’ll slip away. For more help in getting your time back, download my free guide here: How To Build A Creative Time Machine That Gives You More Time For Your Art. Creative Weapon #8: Leverage, Leverage, Leverage. When you utilize other people and resources effectively, you can maximize your time, multiply your audience, and skyrocket your results. If you consider yourself introverted, this will mean getting out of your shell and being more social. Fortunately, there are a lot of ways to connect with people these days, so you can choose ones you feel more comfortable with. You’ll also find that when you’re talking to people about your art, you will get in the groove and be eager to tell them more about it. You can combine your efforts with other artists to tap into their audience. You can share each other’s work, blog posts, art, or even partner in a joint creative venture together. Working on your creative side business can be tricky if you have a full time job and the restrictions that go with it. Your art may also be difficult to make and share due to commitments and obligations. The next tip may help with that. Creative Weapon #9: A Pen Name Or Alter Ego. There’s absolutely nothing wrong with a pen name. It’s a completely ethical and accepted practice. It works for Stephen King and J.K. Rowling, doesn’t it? Also, this doesn’t just apply to authors, it applies to artists, too… Banksy comes to mind. A pen name, alter ego, or nom de plume can free you from fears about sharing art that is controversial or that you think will compromise other aspects of your life. Authors will use them if they want to write for a different niche than the one they are known for. It’s also a way to start a brand or company that you want to grow from behind the scenes. 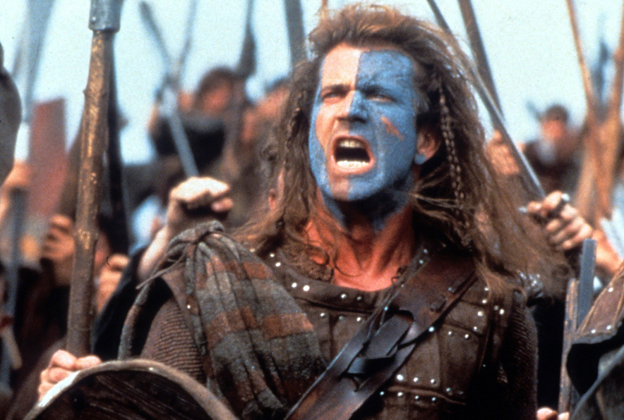 A woad is the blue paint that William Wallace and his fellow Scotsmen put on their faces in battle. (Never mind that it was something of an anachronism in Braveheart, as it would have been used in a different time period… the makeup artist on the film won an Academy Award for it, so that’s good enough an example for me). The woad comes from a flower that produces a blue dye. This dye is also the same color as on the Scottish flag. It was worn in battle to strike fear in the hearts of the enemy. It meant business. The important thing about your woad is that it’s a physical symbol to yourself. It can also be something that signifies to somebody else that you mean business. It’s not just all about appearances – it’s about a link to your commitment to yourself to fight for your creative independence. The great thing about being creative in this day and age is, we have instant access to other creatives with the same mindset that we do. Remember the weapon of leverage? We foster it by connecting with those other like-minded artists. Draw on them for support. Give support where needed. If you haven’t done so already, join the Artist Mythmakers here. We’re a group of committed creatives who value independence and creative freedom just as much as you do. We’re willing to fight for it, and we’d love to have you aboard. The more, the merrier! 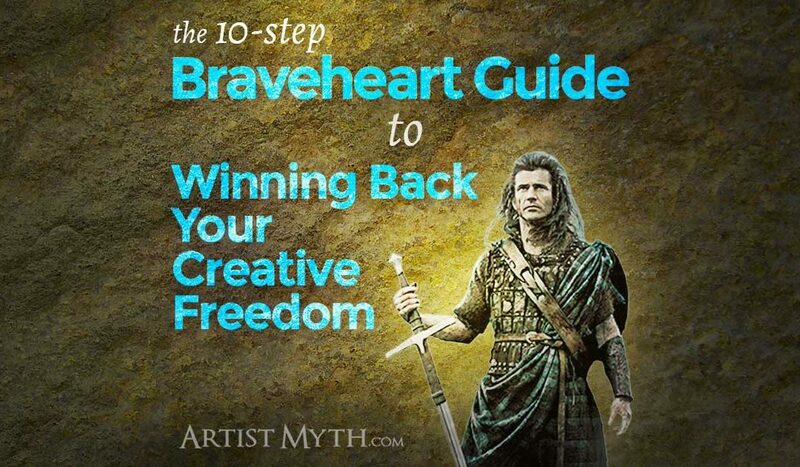 How Will You Win Your Creative Freedom Back? It’s time to take action. Commit to winning back your creative freedom one day at a time. Remember, it’s not a sudden bloody revolution, it’s a slow battle of attrition where persistence wins. It takes gobs of planning and patience. But I guarantee the outcome will be worth it. Action #1: Write in the comments below and tell me what kind of creative freedom you desire. Then write how you plan on winning back that freedom. Let’s gain the fellowship and support of each other as we strive for our independence! It contains each weapon listed with blanks you can fill in as you go along in your quest. Share it freely with anybody else you can think of who would benefit from an unshackled creative life! I wish you all the best and success in your endeavors. Let me know how it goes! Gah! This is a great post. 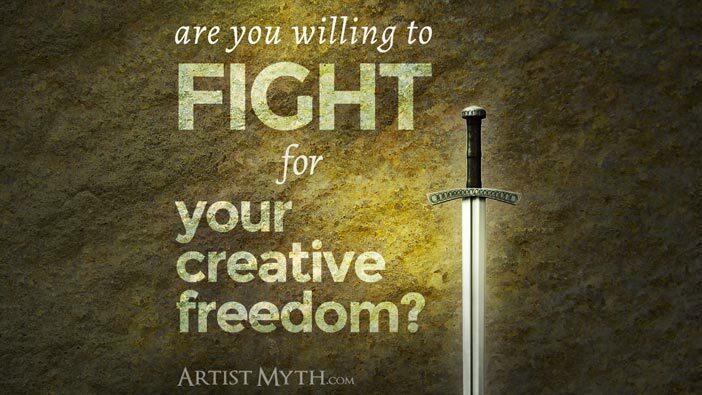 I am in the battle at the moment…winning back my creative freedom one (early morning session) day at a time. I love the woad–gonna figure that out. I’m looking forward very soon to moving my studio space to a more accessible location to make the most of my moments of time. Next–focus on re-capturing my drawing time. Thanks for putting this battle plan out there for us! Glad you found the post helpful, Marjie! It sounds like you’ve got a solid path to win some territory and time for your art. Good for you! Both of those are essential, and I wish you the best on your efforts. Let us know how it goes.